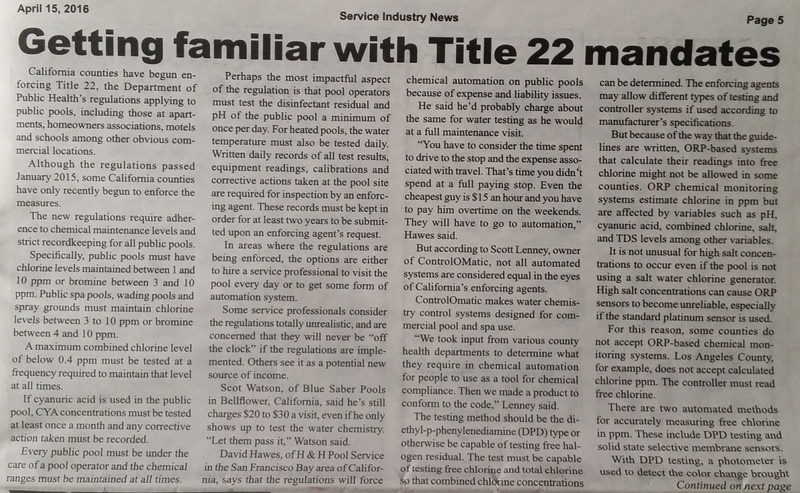 The Service Industry News interviewed us at the WPSS in Long Beach and came out with a nice article (April 15, 2016 issue page 5) explaining the new California Title 22. Excerpt — Some service professionals consider the new regulations totally unrealistic, and are concerned that they will never be “off the clock” if the regulations are implemented (should be when enforced). 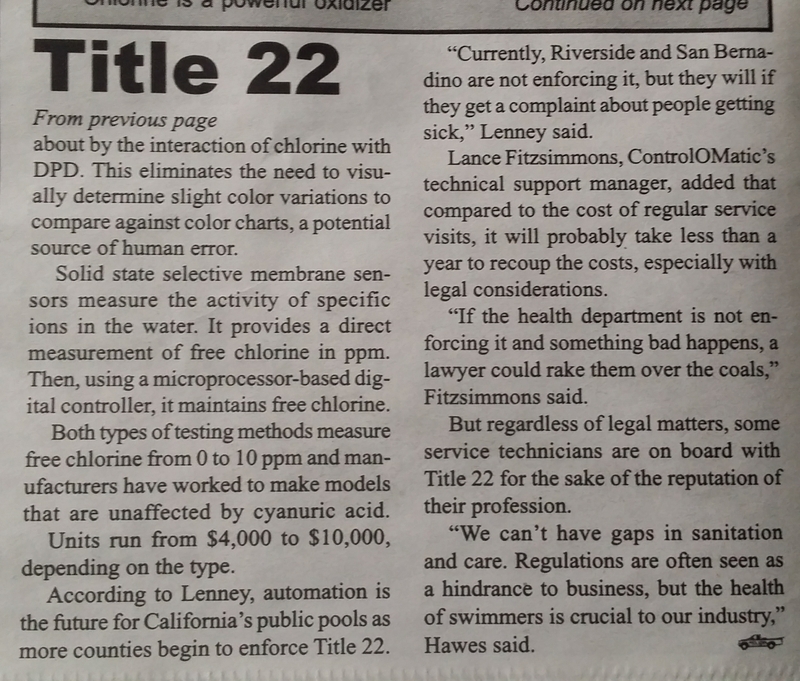 The overall intent to to help may sure that pools and spas in California are safer for the swimmers, and there are other states that are way tougher like New York – CA is playing catch up.